I started the year in the Philippines celebrating the marriage of two dear friends; Karen and Deon. Whilst over indulging on the great Filipino food, see the sights and meeting some fantastic people, I also tried to discover a little music. In doing so, I accidentally attended my first (and only to date) gig in 2011; in the middle of a shopping centre in Manila while looking for souvenirs. 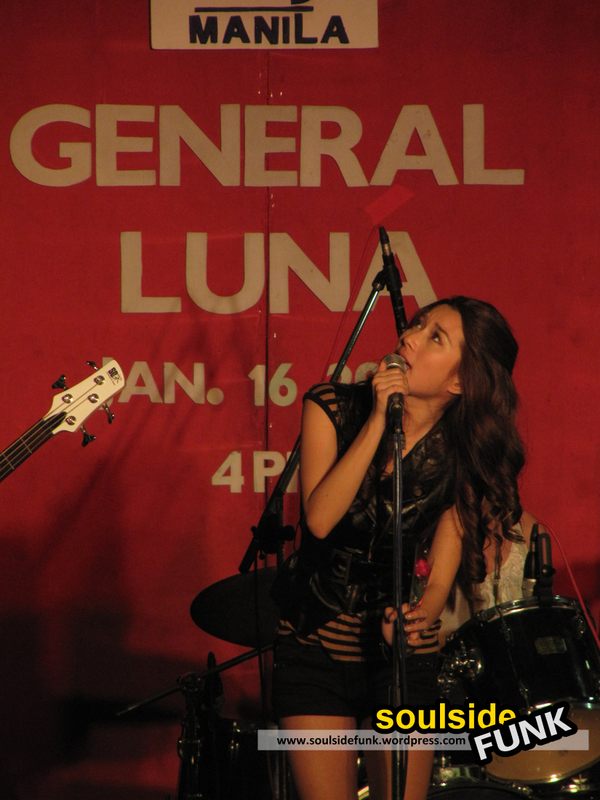 The occasion, well it was to launch the latest single from the all female, pop-punk band that is General Luna. What I heard was a surprising mix of feisty female angst, and strong guitar licks. It was rough, raw and an energetic display of decent indie songs. It was all tied together by a lead singer so far removed in style and looks from your traditional Riot Grrl band it was uncanny. From her dainty frame and designer heels came this strong voice; crescendoing with at times a real sense of joyous frenzy. She forced you to stop and take onboard what she was singing. Yeah, I had no idea what “that” was, but man did I feel it! Even the slower songs, like their single Nandito, had this sense of fun and urgency that sucked you in and made you want to listen. The highlight of the set was when they stepped across the ocean for a fiery cover of Seven Nation Army by the White Stripes. It was totally unexpected, and thoroughly enjoyable. 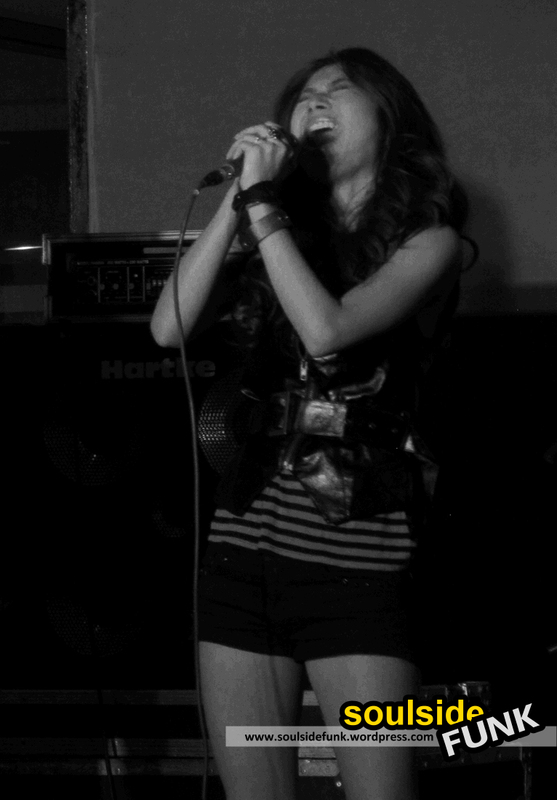 The lead singer belting it out so that not a single note was wasted. The fire in their belly was coupled with a real feeling of pop about them. Like a Filipino Avril Lavinge or Green Day, they were rock and roll with the strong overtone of the mainstream about them. Making for fun yet inoffensive (I think) music, which was easy on the ear. After about 7 or 8 tracks they finished to sign autographs, and I quietly sneaked to the back to pick up a CD. Nice and unusual start to 2011 giggin’. Thanks girls. Posted in Gig Photos, Gig ReviewsTagged Concert, General Luna, Gig, Live Music, Manila, Music, Nandito, OPM, Philippines, Pop, punk, rock 'n' roll, rock music, shopping centre, SM City MallBookmark the permalink. News: Live Nation post massive losses for 2010 – what can they do about it?